The Cadillac Escalade is a full-size luxury SUV produced by Cadillac since 1999. Featuring a number of high-end features, a large 8 cylinder engine, quality interior, and 3-rows of seats, the Escalade is designed to provide luxury comfort to groups and families for both long and short trips. 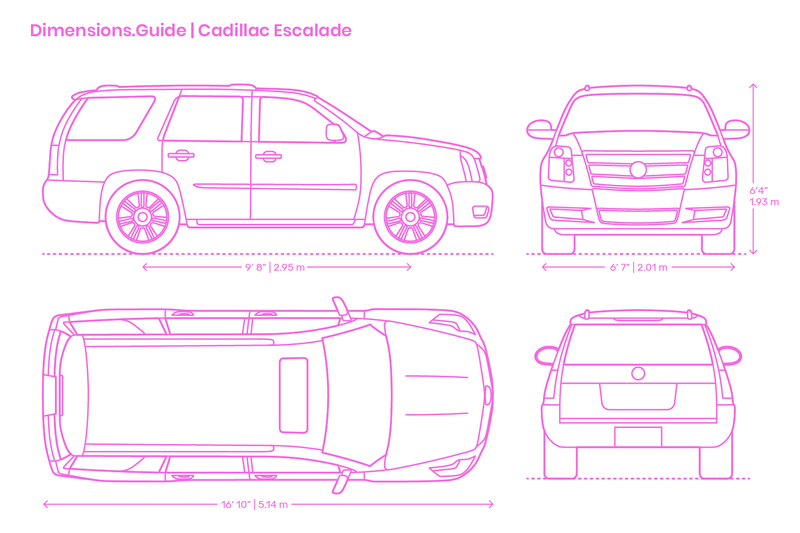 The Cadillac Escalade (2014) has an overall length of 16’10” | 5.14 m, width of 6’7” | 2.01 m, and height of 6’4” | 1.93 m.